Norm Bartie's backhoe in Emerald. Backhoes are only capable of reaching 40 kph. LENNOX Head earthmover Norm Bartie has taken a long, slow drive through Central Queensland on a backhoe as he attempts to set a Guinness world record. The founder of 'It's Not Your Fault for Kids' is using his epic world-record attempt to raise awareness for children who are survivors of abuse or trauma. Mr Bartie previously worked as an emotional facilitator helping Australia's sporting elite and celebrities deal with their emotional issues in high-end mindfulness retreats. 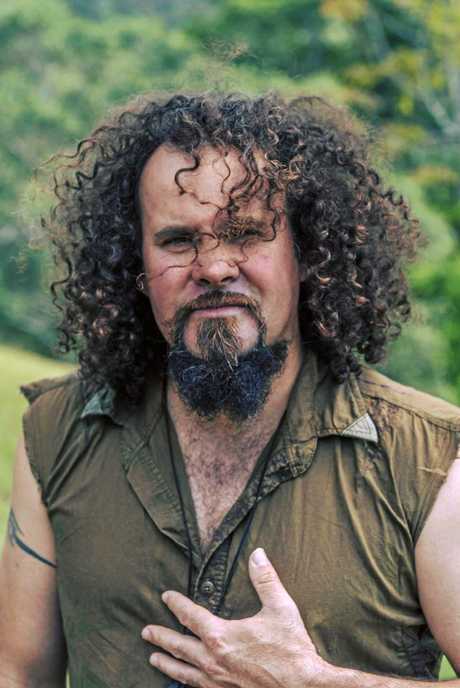 His focus is to bring his holistic coping methods to those who cannot access the high-end retreats he used to work for, particularly vulnerable children. "I want to give what the top-end is getting and give it to the children,” he said. 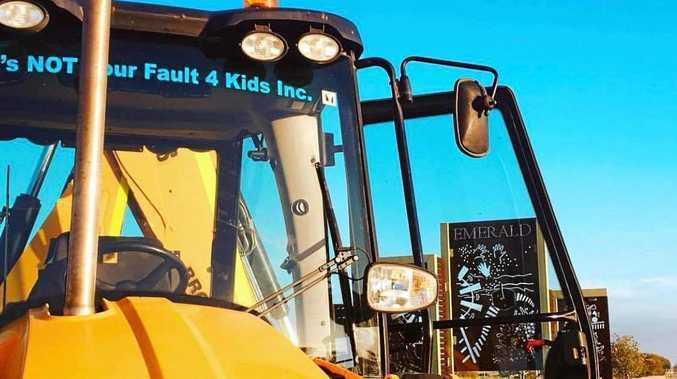 The children's retreats are completely self-funded using profits from Mr Bartie's own labour and earthmoving company, ILH Australia Group, but an upscale means donations are now needed. "We have turned this into a charity so people can now donate and help us out,” he said. "The drive is a way to let kids know there is another option. "It's a safe and healthy environment where kids at risk can feel at home and learn self empowerment. "The retreats involve personal reflection, indigenous cultural activities, deeper listening to nature and discovering your connection to it,” Mr Bartie said. "We help them find their own space where they feel at peace, then people can open up about their experience. 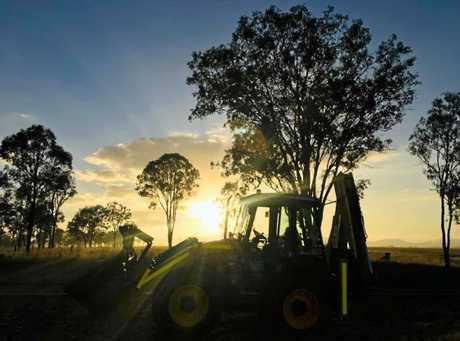 Norm Bartie and his backhoe pulled over somewhere in Central Queensland after a long day's drive. Mr Bartie's backhoe trip will take him as far north as Townsville to Albury in the south to knock over the 5,127km world record set by American, Neil Smith in 2010. He aims to park his backhoe on Parliament lawns for the first day of sitting on February 12.